The Department of Defense (DOD) embraced social media and web 2.0 almost six years ago, yet many military units still do not utilize this form of communication.1 The DOD banned its use in 2007, but changed its stance after a 2010 Pentagon review of its risks and benefits, citing that its benefits outweighed the security concerns.2 I propose that many of the lower-level units across all branches of the military also need to reconsider the risk and value of adopting this modern form of communication. Units would benefit from mirroring the DOD shift in policy regarding social media. The use of social media at the tactical level can benefit a unit in many ways, including in the areas of leadership communication, recruiting, family support, professional relationships, medical issues, training, discipline, and unit performance. Conversely, common risks identified include unprofessional content or behavior, network security risks, and operations security (OPSEC). Leadership in lower-level military units should easily be able to understand and value the benefits gained with social media while mitigating the potential risks to an acceptable level. While the Trump administration is proposing significantly increased military spending to enhance our national security, it seems to have lost sight of the greatest national security threat of all: our fight against infectious disease. We already spend far more on our military than any other country in the world. 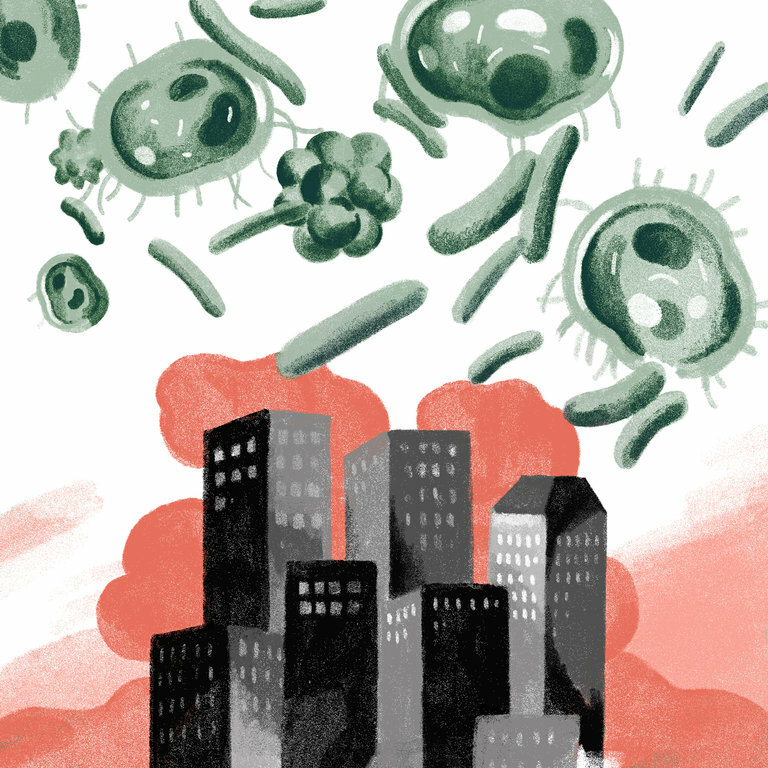 To help pay for the increases, President Trump wants to cut back many federal programs, including those that prepare us to wage war against microbes, the greatest and most lethal enemy we are ever likely to face. This is where “defense spending” needs to increase, significantly. Those cuts will not protect American citizens. They will diminish research and vaccine development and our ability to respond to the growing threats of antibiotic resistance and new infectious diseases. A combat operation that legends are made of just occurred under the cover of darkness on March 21-22 as US Special Operations troops and elite Kurdish special forces parachuted deep into deep into ISIS-held ground while other US-backed SDF troops made an amphibious assault that succeeded in retaking the Tabqa Dam from the Islamic State who were caught by surprise. Some of the following information is unconfirmed but comes from our trusted sources and will give a more in depth look at what happened beyond the “official” CJTF-OIR statement. The airborne troops jumped from at least a half dozen rotary-wing aircraft into at least two different drop zones onto a peninsula west of Raqqa near Abu Asi. There are even rumors of a high altitude jump taking place. The Syrian democratic Forces (SDF) have proven to be the top indigenous fighting force in the region, without a doubt. Yet, a very very small population within the ranks of the SDF is airborne qualified, and there were indeed Kurdish troops on the jump. This means that the Kurdish Counter Terror Group (CTG) from northern Iraq was definitely there leading the way. It’s also possible, and even likely, that the CTG’s Syrian counterpart, the Syrian Kurdish Anti-Terror Forces Command (HAT) were also in on the Airborne operation, considering the high echelon of their training. The key strategic ground now held on the Western flank cuts off the main ISIS supply route flowing from Aleppo to Raqqa. In what could be one of the largest defense sector consolidations in years, the Russian government is considering a proposal for state defense giant Rostec to take over United Aircraft Corporation (UAC). This umbrella company oversees the bulk of Russia's military aircraft production, along with models for civilian and transport use. Last year, for example, UAC delivered 124 military and 37 civilian aircraft. So far, Russian Trade Minister Denis Manturov has said the takeover is under evaluation. The Russian defense industry has already been consolidated somewhat, largely because the country's ongoing financial crisis has curbed state funding for military production. Late last year alone, the Kremlin had to provide about $12 billion to help ailing defense corporations from going under. UAC is not one of the ailing companies, making some $4.3 billion in profits last year. Yet there are technical reasons that its consolidation makes sense: Rostec already owns Russian Helicopters, whose production overlaps significantly with UAC's. But there are strategic reasons for the takeover as well. UAC would be a lucrative prize for Rostec CEO Sergei Chemezov. Long one of the strongest elites under Russian President Vladimir Putin's government, Chemezov's initial career wedded a military education with engineering expertise and work for the KGB. This knowledge made him the ideal candidate to eventually run Russia's defense sector. Moreover, he befriended Putin while working for the former Russian intelligence agency in East Germany, and they continued to work together during the 1990s as Putin rose to power. What Do India and Turkey Have in Common? India is frequently described as the world’s largest democracy, thus leaving the impression that the country has nothing in common with a place like Turkey. In just the past year, the latter has weathered an attempted coup, a large-scale purging of key institutions by the ruling regime, and a president who seems increasingly unstable. But as Basharat Peer makes clear in his new book, A Question of Order: India, Turkey, and the Return of Strongmen, the two places have more similarities than you might think. I spoke by phone with Peer this week. During the course of our conversation, which has been edited and condensed for clarity, we discussed the state of the opposition in both India and Turkey, why leaders don’t necessarily “mature” once in office, and how Donald Trump differs from the world’s other strongmen. Isaac Chotiner: What made you decide to pair India and Turkey in a book about the return of strongmen? An Enemy Less Lethal: What If, In 1971, India Had Entered West Pakistan? The 1971 War was a military and political disaster for Pakistan, which lost its more populous and economically dominant eastern half – East Pakistan. The conflict was also a major embarrassment for the US, which had backed and armed Islamabad to the hilt, only to see its ally defeated on land, sea and air. India not only emerged the pre-eminent power in South Asia, but the emergence of Bangladesh ensured India was no longer sandwiched between hostile lands. However, the magnitude of India's victory would have been significantly greater had its strategic war plans not been leaked by an American spy in Prime Minister Indira Gandhi's cabinet. The identity of this Central Intelligence Agency (CIA) mole remains classified to this day. C. The destruction of Pakistani armoured and air force strength so that Pakistan can never again threaten India. Credibility Plunge: How Did English Media Miss The Modi Waves Of Both 2014 And ‘17? Most Indians who support right-of-centre political parties look at the recent election results with happiness, but also feel a sense of déjà vu setting in. 2014 elections will bring back the memory of the shocked expressions of English television news anchors, who tried to mask their defeat with a show of objectivity and wherever possible, sarcastic comments against the winning Bharatiya Janata Party (BJP). Not surprisingly, this dutifully played out again on 11 March 2017. As the results from Uttar Pradesh rolled in, the whole debate of Bharat versus India – the disconnect between the “masses of the hinterland” and the English-speaking urban elite came through in English mainstream media. Again, we saw the same old phrases of the “Hindi heartland” having given its verdict, some references to how city-dwellers could not predict the poll outcome, and the like. In India, it’s almost a given that if you’re an educated, English speaking person, you just have to be a supporter of one of the Left parties or the Congress. It is almost unthinkable to the mainstream English media that an educated Indian could have a view that is right of centre. Beijing’s threat to Taiwan is a routine breakfast-lunch-tea-dinner syndrome. The scenario by now has an expected pattern. China will attack anyone trying to stand up to its pressure. In general, whoever occupies the battleground first and awaits the enemy will be at ease; whoever occupies the battleground after war and must race to the conflict will be fatigued,” Sun Tzu (The Art of War). China has already illegally occupied the “battleground”, which is illegally occupied by Pakistan too, but is a legally-owned Indian territory around the Karakoram mountain range, where the borders of at least five countries meet (Afghanistan, India, Pakistan, Tajikistan and China). China, therefore is “at ease”, having occupied the battleground first. India, on the other hand, could be seen to be psychologically “fatigued”, being nowhere near the Chinese position, as now there is no scope for India even to think of theoretically reaching the “battleground” which stands beyond its reach. Strangely, China is not at ease and India is not fatigued. On the contrary, it is India that is more at ease! Because, despite reaching the battleground first, it has suddenly dawned on China that stubborn India has taken an unreasonable position. Although China stands “supreme” in the landlocked high terrain of Central Asia, the “inferior” India refuses to play ball with it. And that is irritating the Chinese no end because every power in the vicinity of Chinese dream projects like the China-Pakistan Economic Corridor (CPEC); Belt-Road-Initiative (BRI); One Belt, One Road (OBOR); has to be a part, as ordained by the Lords of Middle Kingdom. Even if that “dream project-party” embraces territory-grabbing, terror-masterminding, diplomatic-bullying as part of its grand scheme of things. Understandably, the Chinese cannot take it, as they are desperate to achieve their unfulfilled ambition to prove their supremacy and make it acceptable to all “inferior powers” in the region. Time is short, and the road long. China, owning reclaimed land at Colombo, is a worrying development in the Indian Ocean Region. The importance of Sri Lanka in the Indian Ocean Region (IOR) cannot be over-emphasised. All the ships have to circumnavigate Sri Lanka if they are travelling anywhere in the IOR. And, China’s interest in the Sri Lankan ports of Hambantota and Colombo are well known. China has been overtly assertive in getting contracts for the construction of Hambantota port and the expansion of Colombo port. Now China is eyeing to develop a special economic zone of more than 15,000 acres near Hambantota and a city enclave South of the newly built Colombo container port. Chinese warships and nuclear submarines have been making port calls at Colombo since last three years. Last year in February, PLAN Type 926 submarine tender (ASR) #865 Liugongdao was seen in Colombo, Sri Lanka, suggesting continuous presence of PLAN submarine(s) in the IOR! Chinese PLAN submarine support ship ASR #865 Liugongdao in Colombo. From the eurozone to South Korea, elections are sweeping the world, bringing with them a high likelihood of dramatic policy change. But when Hong Kong's 1,200-member election committee convenes to vote on the city's next chief executive March 26, it will likely usher in more of the same. The Chinese government has extensive influence in the city's electoral system under the Basic Law, which gives it the prerogative to screen candidates, steer the nomination process and exercise veto power as it sees fit. Beijing's active, albeit typically covert, involvement in Hong Kong politics keeps candidates from the city's pan-democratic camp or emerging localist party from receiving nomination for — let alone winning — chief executive and ensures a steady succession of pro-China leaders in the top post. Unlike the highly contentious votes elsewhere in the world, then, the outcome of the Hong Kong election is practically a foregone conclusion. It will be no less consequential, however. 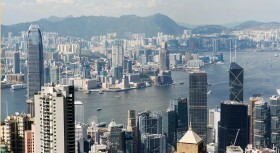 Hong Kong, a bustling metropolis of some 7 million people, is nearing a crossroads. The next chief executive's inauguration on July 1 will coincide with the 20th anniversary of the city's return to Chinese control. (Perhaps fittingly, Chinese President Xi Jinping will likely be in the city that day to preside over commemorative festivities.) Over the past five years, Hong Kong has undergone massive social and economic change as antagonism toward China's rule there has grown. Now the city is nearly halfway through its 50-year transitional period, and the next leader will play a crucial role in determining its fate. No matter who wins, the new chief executive's main task will be to reconcile Hong Kong's social and economic priorities with Beijing's desire to integrate the city with the mainland. But whether that objective can be achieved is a different story. Why were Sri Lankan schoolchildren dancing to a U.S. Navy band? Sri Lanka has just finished welcoming a U.S. military operation that seeks to build relationships in the Indo-Pacific region. In fact, this long-running engagement mission in the Asia-Pacific, known as Pacific Partnership, made its first-ever visit to South Asia with this deployment. Through Pacific Partnership, U.S. armed forces and civilian personnel provide medical, dental and engineering assistance to local communities as well as exchange lessons learned while responding to natural disasters. What is particularly notable is the location of Pacific Partnership within Sri Lanka — Hambantota. This southern district along the main east-west sea lanes in the Indian Ocean is home to a port project that has been scrutinized over the last decade for supposedly being a part of China’s “string of pearls,” or nodes of influence in the Indian Ocean. The country’s increasing commercial and military presence so far from home has raised concerns about its intentions in the region. This concern extends to Sri Lanka. Many observers have written off Sri Lanka as a debt-laden country, beholden to a rising China promising infrastructure in exchange for strategic sway under its Maritime Silk Road initiative. As a result, this significant showing by the United States, plus teams from Australia and Japan, may come as a surprise. The rise in global nuclear disorder and its increasing disconnect from world order is epitomized in the nuclear weapon programmes of two weak and potentially failing states—Pakistan and North Korea. While both these countries might understandably perceive some advantage to having acquired nuclear weapons, the real beneficiary is China. Beijing’s acts of commission and omission in enabling both these crises-instigating states to build nuclear arsenals pose twin threats to the post-Cold War nuclear order. First, the proliferation activities of these countries present an existential challenge to the tottering nuclear non-proliferation regime. Second, these actions in turn also challenge the status of the US as the traditional custodian of the nuclear order; by enabling two weak states to acquire nuclear weapons, the Washington-led regime has been thrown into disarray. While it could be argued (as non-proliferation purists are prone to do) that New Delhi’s arsenal is equally culpable in creating nuclear disorder, India, as the world’s largest liberal democracy, the fifth largest economy, and a member of every existing and emerging global regime, has more stakes in upholding and enhancing the evolving liberal world order. The unfolding tragedy in the Arab world began as the Dignity Revolution in Tunisia in December 2010. It led to the fall of President Zine El Abidine Ben Ali, ruler since the bloodless coup of 1987. In turn, the coup of 1987 had removed from office President Habib Bourguiba who had held office for 30 years right from the country’s independence from France in 1957. Subsequently, President Hosni Mubarak of Egypt fell in February 2011 after ruling for 30 years. He was followed by Colonel Gaddafi of Libya who, in power since 1969, fell in August 2011 and was brutally shot dead two months later. Finally, President Ali Abdullah Saleh of Yemen, in power since 1978, reluctantly resigned in February 2012. In short, between January 2011 and February 2012, four dictators, who had ruled or misruled for a total of 128 years over 120 million human beings, fell. And more than once, it appeared that President Basher al Assad, in power in Syria since 2000, would also fall. But Iran, Russia, and Hezbollah came in and put him on a life-support system. There is no immediate prospect of his fall. Was the Arab Spring a Mirage? When President Hosni Mubarak fell on February 11, 2011 as Egyptians fearlessly called for his resignation from the historic Tahrir Square and elsewhere, many long-time observers of the Arab world recalled the immortal words of Wordsworth about the French Revolution “Bliss was it in that dawn to be alive, But to be young was very heaven!”. But after six springs, a horrendous death toll of about 550,000, and 11 million rendered homeless, we realize how starry- eyed we were. To understand what happened and what went wrong, it is necessary to look at each country specifically. Goodbye, Islamic State. Hello, Anarchy. MOSUL and BAGHDAD, Iraq — On a quiet morning in late February, a convoy of black SUVs and pickups tore through the outskirts of east Mosul, at times nudging 75 mph on the dusty roads. Packed inside, balaclava-wearing gunmen pulled nervously at slim cigarettes while martial music blasted over the radio. Three males, bound with strips of cloth, crouched in the back of one truck, their sweatshirts pulled over their heads to cover their faces. The youngest looked to be about 15. All three had been detained minutes earlier on suspicion of affiliation with the Islamic State, which had withdrawn to the west of Mosul in late January but left behind a network of sleeper cells. The convoy of the National Security Service (NSS), Iraq’s intelligence branch, continued to a second neighborhood. The NSS members ran down alleys to kick in doors at suspect houses. This time, though, a second convoy of tan Humvees stenciled with black Babylon lions pulled up and angry soldiers from the Iraqi Army’s 16th Division poured out, weapons in hand. “What are you doing? You didn’t coordinate with us,” an irate 16th Division officer shouted, gesticulating at the NSS men. 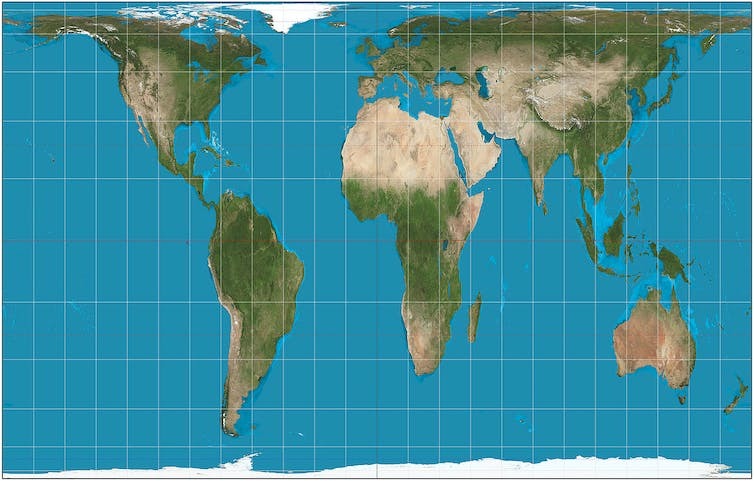 Boston public schools recently announced that they will shift to using world maps based on the Peters projection, reportedly the first time a US public school district has done so. Why? Because the Peters projection accurately shows different countries’ relative sizes. Although it distorts countries’ shapes, this way of drawing a world map avoids exaggerating the size of developed nations in Europe and North America and reducing the size of less developed countries in Asia, Africa and South America. "Degradation of ISIS is not the end goal,” Secretary of State Rex Tillerson said last week. In what appeared to be a criticism of the Obama White House's ineffective campaign against the Islamic State, the Trump administration's top diplomat insisted, "We must defeat ISIS." At a two-day summit bringing together officials from the 68 countries and international organizations that form the anti-ISIS coalition, Tillerson said that "defeating ISIS is the United States' number one goal in the region." The Obama administration failed in its efforts to defeat ISIS mainly because it never took on the Shiite expansionism—emanating from Tehran and spreading through the central government in Baghdad to Damascus and Beirut—that has fueled Sunni extremism. Given a choice between the depredations of the Islamic State and those of the Shiite militias backed by Iran, Sunnis caught in the middle have typically chosen to endure the former rather than risk the latter. The Bush administration came to understand the sectarian roots of the problem. The surge that turned around the U.S.-led war in Iraq was premised on the notion that the only way to get Iraq's Sunni tribes to fight foreign extremists was to tackle the Shiite militias that threatened those tribes. Without moving at the same time against Iran and its allies, urging a Sunni-led campaign against Sunni extremists was tantamount to enjoining that sect to wage war on itself while Iran and its affiliates profited from the intramural carnage. Fresh water is vital for human survival and health, the production of food and energy, industrial activity, and the functioning of the entire global economy, as well as for the survival of other animals, plants, and natural ecosystems. Water scarcity, whatever its cause–natural catastrophes, pollution, poor water management, or theft and smuggling—can have grave consequences. The topic is controversial in the first place, because there is no common definition as to what constitutes water theft and smuggling—or, for that matter, whether such phenomena exist at all. Water use regulations, including whether water use is priced or free, vary vastly around the world and often within a country, including within the United States. There are two broad schools of thought on the use of and access to water (and hence on water theft and smuggling). One school defines water as a basic human right, and often opposes the pricing of water, particularly increases in prices. The other sees water as a commodity to which value needs to be assigned—contending that, like electricity, it needs to be priced properly to maintain its sustainability and efficient use. Members of the first school are deeply uncomfortable with the concepts and language of water theft and smuggling. Thus, legislation and regulations concerning water use can be politically divisive and explosive, since these opposite views can be strongly held, even within the same polity. Shivali Best had an online article today, March 23, 2017, on the DailyMailOnline with the title above. She begins, “in a bid to stop the Islamic State (ISIS) from launching ‘suicide,’ [kamikaze] drones, the U.S. Army is working on a secret project called, Mobile Force Protection Program (MFPP). Overseen by the Defense Advanced Research Projects Agency (DARPA) [the Pentagon’s research arm] the program find ways to detect killer drones that do not rely on radio frequencies. The head of the project,” told the Daily Mail that plans could be put in place as early as this May. DARPA “anticipates awarding contracts for the first phase and testing and research, in the next few weeks. Phase I of the project is expected to take about a year; while Phase II will take about 18 months and involve the top two competitors from Phase I. Finally, Phase III will take around 21 months; and, will focus specifically on countering a large raid [swarm] of unmanned drones. Firms picked to proceed into testing, are expected to receive about $3M in funding” Ms. Best wrote. DARPA specified that “any methods used must not cause harm to any U.S. troops, or innocent civilians.” “This means that options such as high-powered, directed energy weapons, high-caliber weapons with ‘uncontrolled projectile trajectories,’ and live animals have all been prohibited,” according to the Daily Mail. When Navy Adm. William H. McRaven took the podium at the University of Texas at Austin to deliver the commencement speech for the graduating class of 2014, few people beyond the military’s close-knit special operations community knew who he was. Those who did probably knew McRaven from “Dirty Wars,” a 2013 documentary marketed as a revelatory investigation into the blood-soaked exploits of the Joint Special Operations Command, or JSOC, which McRaven helmed between 2008–2011. In the film, McRaven is portrayed as the enigmatic commander of a ruthless commando unit who’d taken the Afghan War into his own hands. However, the McRaven who stood in his Navy dress uniform that May before 8,000 college seniors, telling them they had the power to make the world better a place, was no boogeyman. He was the soon-to-be-appointed chancellor of the largest public university system in Texas, and, while he may not have looked the part, he certainly sounded it. A video of the pep talk went viral. U.S. President Donald Trump seemed to be highly skeptical of the North Atlantic Treaty Organization (NATO), calling it 'obsolete'. At other instances he referred to it as 'very important to me'. Trump's defense chief, James Mattis, a former general in the Marines, has professed support for NATO. However, he too reprimanded NATO allies at a meeting of defense ministers this week in Brussels. They should pay their fair share for defense or face the consequences. NATO had agreed that each member country should invest at least 2 percent of its GDP into its military. As our infographic shows, the United States spends more than double the amount on defense than all other members combined. The United Kingdom spends second most in absolute terms and is also past the 2 percent of GDP post, unlike Germany. This chart shows defense spending of the United States and other NATO-Members 2016. Download PDF file of "The Sky Is the Limit"
The international development and security sectors have both benefited from an increasing quality of geospatial data and analyses. Currently, the U.S. government leverages vast troves of data to identify correlations between food security and political instability. For this reason, the traditionally separate development and security communities are experiencing increasing interdependence and commonality. To examine how the development and security sectors can work together to leverage geospatial data in ways that identify, mitigate, and respond to food insecurity, the Center for Strategic & International Studies (CSIS) explored the nexus of global food security, geospatial data collection and analyses, and political instability. MARCH 24, 2017 —Cybersecurity depends on managing the consequences of a single powerful insight: The ongoing and ever-increasing demand for features, performance, and extensions of digital capabilities will expand to fill the space of what is technically possible, and then go beyond it. More than anything else, this is what drives innovation and the rapid rate of change that people and institutions have had to grapple with in the digital world. It also means that the digital realm will evolve very much like other security realms have evolved in human affairs, but more quickly, with ever-changing vulnerabilities that will never fully be mastered. In other words, bad (illicit) actors coevolve with good, and the meanings and identities of "good" and "bad" are never settled. Threats don’t disappear; they change shape. Since the illicit players don’t need to follow rules or norms other than the ruthless pursuit of profit (for criminals) and strategic advantage (for states), they have a structural advantage and move faster and more boldly than the legal players. Policymakers struggling with the consequences of digital insecurity need ways to get out ahead of this game rather than continuing to play catch-up. This essay explains one process for doing that – the development of scenarios that sketch a future landscape for the cybersecurity problem space. Scenario thinking is a systematic methodology that aims to specify the most important and most uncertain causal drivers in a system at the same time. It then combines these drivers together in models that explore unexpected pathways of change, using narratives to highlight what could be significantly different and how an observer would know in advance that those differences were beginning to emerge. Policymakers often use scenarios to rehearse how they might respond to "what if" types of questions, but in the cybersecurity world the need is even more urgent. The key question that scenario thinking can help address for policy is this: If X or Y happens, what will governments wish they had in place at that moment to maximize the upside and minimize the threat from the emerging digital environment? MARCH 24, 2017 —Industrial control systems (ICSs) are critical to the operation of a modern society. ICSs were designed to be reliable and safe, rather than cybersecure, and to ensure safe operations within specific known engineered states. These systems carefully manage transitions to control risk between operational states that are defined to protect against random occurring failures of a component or a few components. However, focused cyberattacks such as Stuxnet or Aurora that can push a system into known dangerous states are not commonly expected in the normal operation of ICSs. This essay identifies a number of very critical issues that threat analysts, policymakers, and critical infrastructure protection personnel need to understand and address. That is, how cyber compromise of ICSs or physical system design features can cause physical damage to hardware and/or physical processes. Hackers view exploits that can damage physical processes as the holy grail of cyberwarfare. Any device that can cause catastrophic damage through remote operation of cybercomponents could be a target for compromise. The more high risk components that can be compromised in an ICS, the greater the risk to the operator and value to the attacker. ICSs are not designed to ensure resilience against concerted attacks that intend to place components in dangerous operating states. As ICS systems/components were designed prior to consideration of cyberthreats, securing these systems will be a growing area of cyberwarfare and engineering research. The Future Armoured Vehicles Situational Awareness 2017 conference is set for March 29-30 in London. In advance of the event, organizer SMi Group released interviews with European military leaders. Here they discuss opportunities and challenges in the emerging situational awareness landscape. What are the key areas for development in situational awareness domain? Martin Röder, project manager, IT department, PSM (Projekt System und Management GmbH), Germany: On military vehicles the commander has many important tasks. To assure he could fulfill the right activity in the right time it is extremely important to have a crew that assists him and an assisting vehicle-system. Our objective is to generate one unit getting all players together. Therefore, the information generation and information assignment on the one hand and the support on automated functions on the other hand are our main aims. Col. Manuel Jesus De Hoyos Sanchez, head of 8x8 VCR programme, Spanish Army: Situational awareness is not about technologies themselves but about the capabilities they provide. The interaction with the operator needs to be carefully designed in order to reduce their cognitive load. The right balance between the amount of information provided by the systems and the useful information for the combatant in a situation of distress is also a very important factor. Utilities and oil and gas firms have long used scenario analysis, but extraordinary times call for new measures. Strategic and financial scenario analysis has a long, venerable history at energy companies. Shell Oil popularized the technique in the 1970s, and almost all of them have adopted it as a vital part of their decision-making processes. But as executives know well, scenario planning has its pitfalls; 40 percent of the leaders we surveyed in 2013 said that it didn’t meet their expectations. Often, companies fall prey to one of several tendencies, such as availability or stability bias, that hinder the exercise and produce unusable results. Energy companies are finding that in today’s volatile world, one flaw of scenario planning is particularly acute: when business leaders consider a range of scenarios, they tend to “chop the tails off the distribution” and zero in on those that most resemble their current experience. Extreme scenarios are deemed a waste of time because “they won’t happen” or, if they do, “all bets are off.” But this approach leaves companies dangerously exposed to dramatic changes. Consider the shocks and disruptions of recent years. The 2010 Deepwater Horizon disaster had far-reaching effects on the oil companies involved, and many others. The 2011 Fukushima earthquake and tsunami upended nuclear policy in Japan and elsewhere, changing the industry’s structure. Geopolitical shocks have upset the plans of energy companies in too many countries to name. Most recently, the rise of antiglobalization sentiment has thrown a new wrench into energy planning.